These days, many people are committed to “going green”. We all want to save the environment and protect ourselves against toxins in our food, clothing, paint, cleaning products and more. Exposing ourselves to fewer chemicals will improve our overall health, and one area that you want to be sure to protect is your indoor environment. According to the Environmental Protection Agency, the average person spends about 90% of his or her time indoors. Therefore, it makes sense that your indoor air quality is every bit as important, if not more so, that the air quality you breathe outside. There are a number of factors that contribute to clean interior air, and one of the most critical is your carpeting. Dust, dirt, pollen and other allergens easily enter your home and work environment on your clothing and shoes, and even blow in through open windows and doors. Most of this debris settles deep in your carpet fibers, where most household vacuums and carpet cleaners never reach. Dirty carpets create the perfect environment for dust mites, microscopic bugs that actually leave behind more than 200 times their body weight in excrement every day! When you walk on your carpeting, these pollutants are disrupted and affect the air quality in your home. For an efficient and effective carpet cleaning, why not call OxiGreen in Levittown, PA to do a thorough and professional job for you? With our top of the line, truck mounted carpet cleaning machines and our 100% “green” carpet cleaning agents, we will remove the vast majority of that debris for you. We will leave behind clean and fresh carpets, without a speck of chemical residue…because we never use chemicals in our cleaning process! 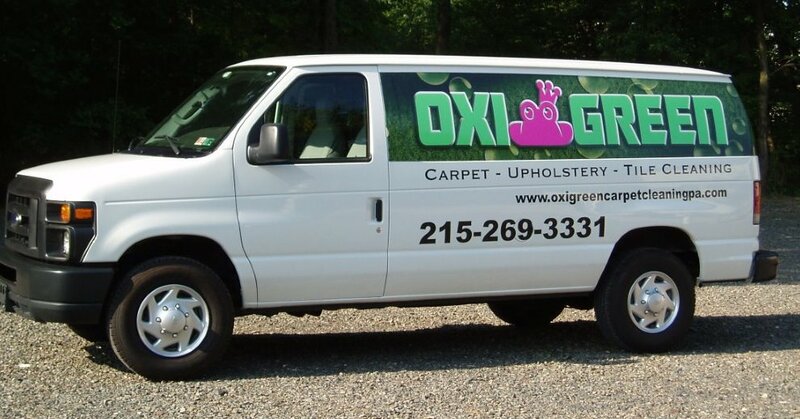 Call OxiGreen in Levittown, PA today at 215-269-3331 or visit us online at http://oxigreencarpetcleaningpa.com . Let us show you what we can do for you!